Add your friend's details to the box below and a new account will be created for them with a free ticket to Talking to Strangers! Soho Square. The concept is simple; small groups, topic cards and conversations you wouldn't usually have with a stranger! These are light-hearted things such as 'where would you put a bench in your memory?' 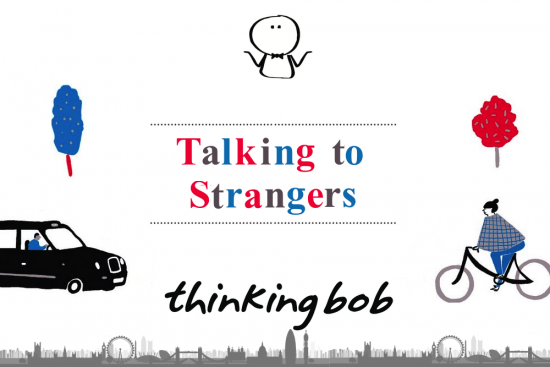 steering you away from the typical small talk that bores us at thinking bob. Includes drinks on bob!